Following the successful packaging design relaunch for Allos, HAJOK Design has now also designed their new tea range. The lovingly-executed illustrations are a key visual element on-pack and were realised in-house at HAJOK Design. 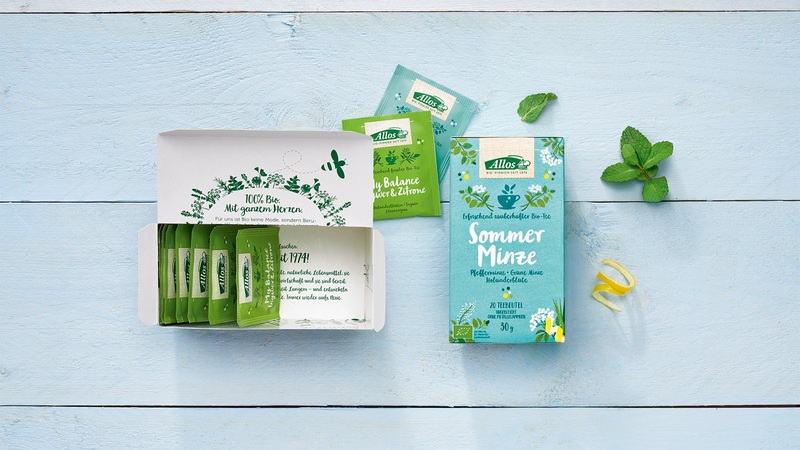 While Allos has been successful in the organic retail trade for almost 45 years, the tea category is completely new terrain for the traditional company. In such a booming and extremely dynamic market, making your mark requires not only special tea blends, but also creative packaging design. 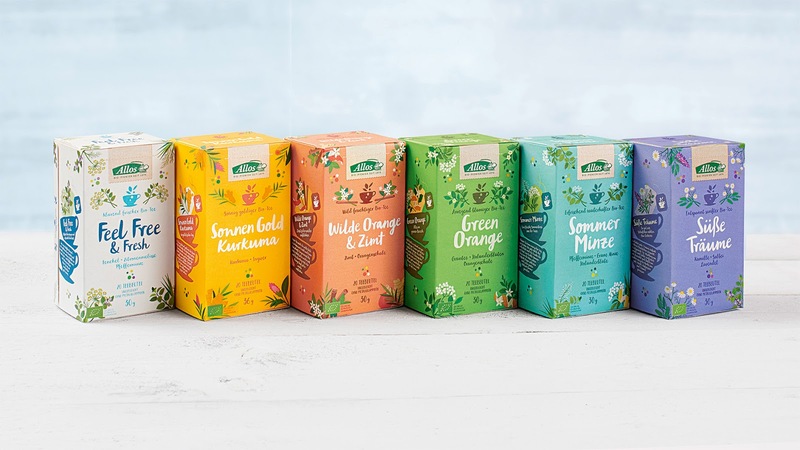 After the successful relaunch for the packaging design of the Allos food range, the brand agency HAJOK was also commissioned to design the new tea line-up. Whilst the design of the teas had to be recognisable as part of the umbrella brand, they also needed a completely unique look to stand out in this dynamic category. An in-depth competition and category code analysis formed the basis for the launch of the 12 different tea variants. In contrast to packaging design already completed for Allos, this time illustrations were to form the visual mainstay, rather than photography. 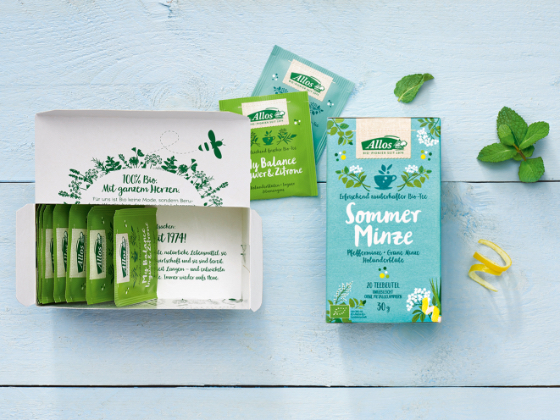 All of HAJOK's in-house drawn herbs and tea ingredients reflect attention to detail and thus the brand positioning of Allos as a "farm-based manufacturer of lovingly-composed natural food". The illustrated teacup as a key visual forms a unifying component featured on all packaging, from the box, the individual sachets to the tea bag tag itself. The different colours characterise each variety and communicate the diversity of the range. The matt surface and embossing stand for premium quality. 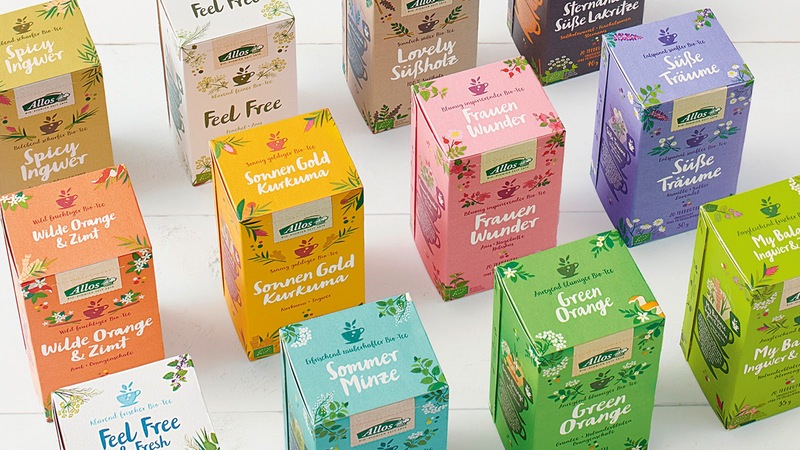 The result is a colourful packaging design that stands out in a credible and appealing way from other tea brands.